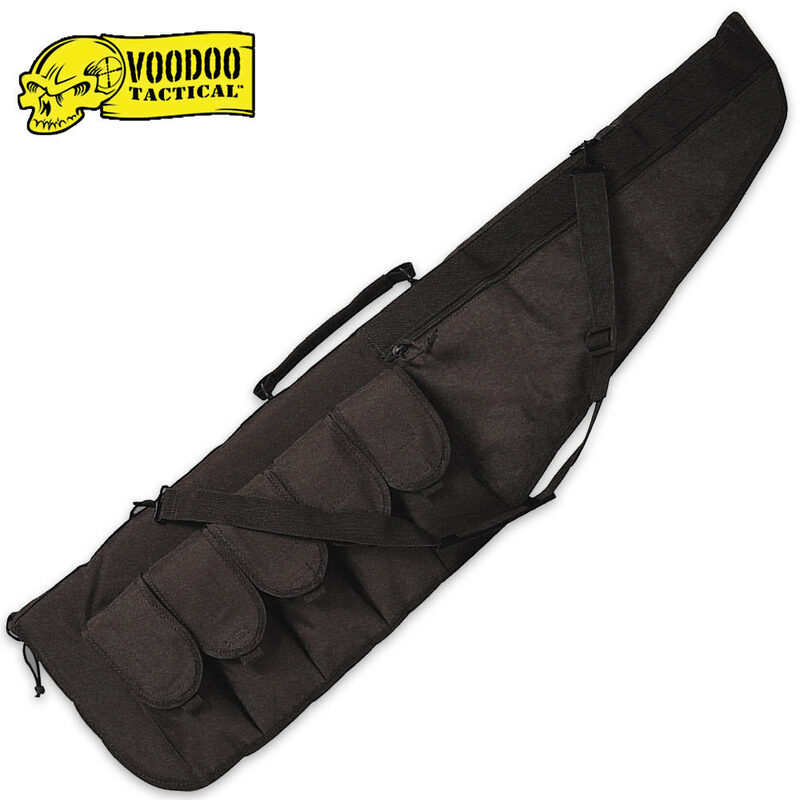 Voodoo Tactical Protector Rifle Case 36 Inch | BUDK.com - Knives & Swords At The Lowest Prices! This Voodoo Tactical Protector 36" Rifle Case is constructed with rugged pack cloth fabric, reinforced stitching, and is fully lined with closed cell egg crate padding. It has five exterior mag pouches, an exterior zippered accessory pocket, adjustable shoulder strap, wrapped carry handles, and a lockable steel "D" ring.